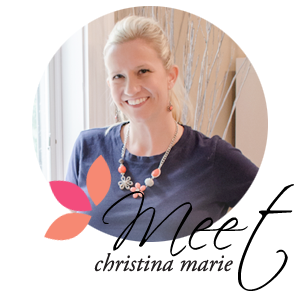 Christina Marie Events is proud to announce our monthly addition to our blog titled: Vendor of the Month. Around the first of each month check back to see which Wedding Vendor has been highlighted for their outstanding products and services. Each month will be particular to a different type of service! April's Vendor of the Month is Molly Hiller of Molly's Flowers. Molly is extremely talented in floral design and has one of those you just gotta love her personalities. I always enjoy working with Molly and can't wait to see the designs she comes up with for some of my brides. Molly goes by the motto "Take craft to the level of Art" And she clearly lives by this in her designs. To lively up white linens, add a colored or patterned napkin ironed flat and placed in the center of the table under the centerpiece flowers. This can set the tone for your color scheme and provide a base for the rest of the centerpiece. For even more "girly" flower girls, add some hair flowers to your order.These are green dendrobium orchids pinned into the girls' hairdo. For a swanky event, have your caterer provide martini glasses and fill each with one a wide open rose bud for the cocktail tables. Tie the stem of the glass with ribbon in your color scheme to add more flair. A few petals and candles on table and you are set! CME ~ How many weddings to you average per year? Molly ~ 40+ per year. CME ~ What is the process or your suggestions for a couple booking your services? Molly ~ Settle on your main decisions first to create a base for the floral design. This being your Venue, dresses and color scheme. CME ~ Anything they can do ahead of time to prepare for meeting with you? Molly ~ Research! Pull pictures from magazines or books for style, specific flowers and inspiration to help work off of. Molly provides a very warm and friendly home studio for you to meet her at and start with the idea's. She is wonderful to work with and comes highly recommended by Christina Marie Events. Tell her we sent you! Special Bonus!! if you are a Christina Marie's bride and you book Molly's services you will receive a toss bouquet for free. Thanks to Molly for meeting with me and showing me such sweet hospitality! !